Two of the industry’s leading international business jet and executive helicopter sales brokerages respectively – Avpro, in the USA and Heli Asset in Europe, announced here at NBAA they are creating a new division within Avpro to focus on helicopter sales and acquisition services. This creates the world’s leading independent helicopter sales and acquisition service, supported by Avpro’s financial strength and brand recognition, further bolstered by the addition of Heli Asset’s four sales directors with OEM expertise in Agusta, Bell, Eurocopter and Sikorsky models. 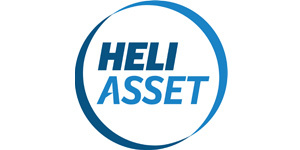 Emmanuel Dupuy, Managing Director of Heli Asset, who will head the helicopter division for Avpro adds: “We are delighted to be joining forces with Avpro. Its reputation is second to none. Helicopter owners will benefit from the impeccable high standards Avpro delivers to its fixed wing clientele and we gain the financial strength, back office contract support, strong marketing team and resources to further expand our activities.” The two companies have been working informally for the past 12 months as Avpro has been increasingly active in the helicopter sector. Featured on Avpro’s Static Display at Henderson Executive Airport in Las Vegas this week at NBAA will be a Falcon 7X; Global 5000; and a Gulfstream G450 Avpro is exclusively representing for sale.